All Ted Nugent items listed below are authentic and very limited. We do not carry multiple items. All prices and availability are subject to change. All prices include shipping and handling for all USA customers. All other destinations will require actual shipping cost to complete transaction. Have a question? Ask us before purchasing the item. Thank You. 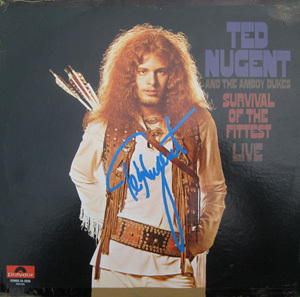 Description: Ted Nugent and the Amboy Dukes Survival of The Fittest Live UK LP. Signed by Ted Nugent in a blue paint pen. 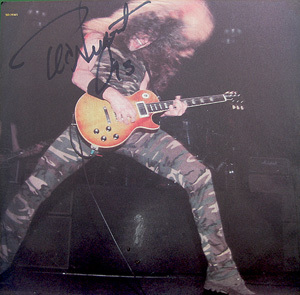 Note: Item signed on Ted Nugent's 2002 US Tour backstage at the Granada Theater in Dallas, TX. LP has been taped along the edges. 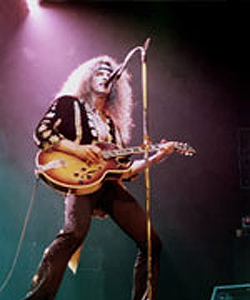 Description: Ted Nugent Little Miss Dangerous LP inner sleeve. Signed by Ted Nugent in black sharpie pen. Note: Item signed on Ted Nugent's 1993 US Tour backstage at the Bronco Bowl Arena in Dallas, TX. 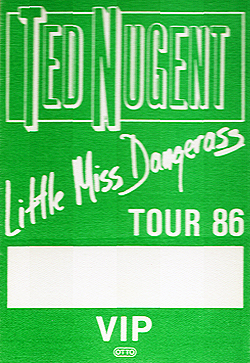 Description: 1986 Ted Nugent Little Miss Dangerous Tour Backstage Pass. Intact pass never used. 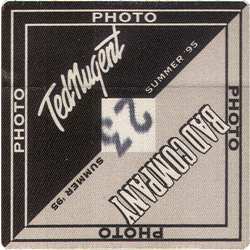 Description: 1995 Ted Nugent & Bad Company Tour Photo Pass. Intact pass used at the Dallas Texas show. Description: Ted Nugent Concert Tour Finger Guitar Pick logo. Reverse side band logo. 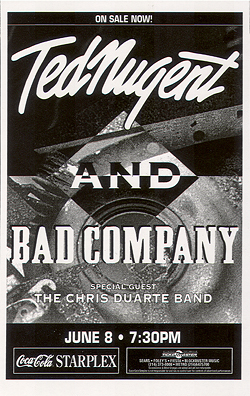 Description: 3x5 BW Ted Nugent & Bad Company 1995 Spirit Of The Wild Tour Handbill. 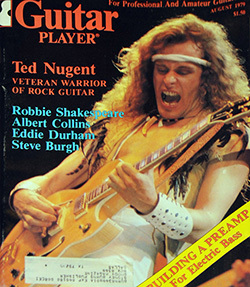 Description: 1979 Guitar Player Magazine featuring Ted Nugent. Ted Nugent Ticket Stubs: Original concert ticket stubs.